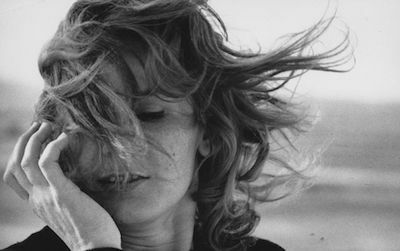 Visionary French filmmaker Chris Marker (19212012) created vivid film-essays that lace realism with science fiction and lyricism with politics. Changing his name, declining to be photographed or interviewed, Marker was both enigma and legend. His influence extends across art, experimental film and mainstream cinema: his 1962 masterpiece La Jetée was the basis of Terry Gilliam's 1995 Twelve Monkeys. A photographer and director of 60 films, Marker was an inveterate traveller - his camera was his eye. His astonishing range of footage can encompass a temple in Tokyo devoted to cats to frozen flowers in a Siberian science station. Marker pictures our cultural rituals, ancient and modern  visiting a shrine, playing video games, protesting on the streets. He splices his images with found footage including fragments of movies, cartoons, ads and newsreels. Musical scores are interwoven with the noises of everyday life; haunting commentaries are narrated as if from the future, meditating on history and memory. âI compare dreaming to cinema and thinking to television'. Darkness also underlines Marker's portrayals of planetary cultures  memories of war ravaged France, the brutalities of colonialism, the failures of revolution. This exhibition takes us on a journey through the themes that absorbed him the museum, travel, film, revolution and war. We also encounter portrayals of his friends including Christo, Roberto Matta and Andrei Tarkovsky. Great classics such as Statues Also Die (1953), Le Joli Mai (The Merry Month of May) (1962), A Grin Without a Cat (1977), Sans soleil (Sunless) (1982), Zapping Zone (Proposals for an Imaginary Television) (199094), alongside photographs and bookworks offer a sequence of multi-media environments saturated with sound and image. Exhibition co-curated by Christine van Assche and Chris Darke. With thanks to the Chris Marker Estate. Find out more: A fully-illustrated catalogue is available at the Bookshop. Chris Marker Sans soleil (1983) © 1983 Argos Films. Staring Back Series: They Stare, Alexandra Stewart (undated), photograph courtesy Peter Blum Gallery, New York. Zapping Zone (Proposals for an Imaginary Television) (19901994) video still production du Service Nouveaux Médias, CGP © Coll. Centre Pompidou, photo: Georges Meguerditchian. Find out more: Chris Marker will be accompanied by a fully illustrated catalogue. It included key essays by the curators; Christine van Assche, Chief Curator, Centre Pompidou, Paris, writer and film critic Chris Darke, and Whitechapel Gallery Chief Curator Magnus Af Petersens; texts by critics Raymond Bellour and Arnaud Lambert; plus the first English translations of two key early writings by Marker, an essay on Jean Cocteau's film Orphée (1950) and his short story Till the End of Time (1947).